Examine for neurological signs: Basic neurological and sensory examinations are necessary to determine the presence and extent of deficits. Standard: Only standard preoperative laboratory tests are necessary. Cranial ultrasound may detect cysts in infants. Cysts would typically appear as hypodense regions. Further imaging is indicated to differentiate them from other lesions. Cranial cysts: CT scans usually are performed initially and during surveillance. Spinal cysts: CT scans can be performed with or without myelography to show the lesion and its communication with the CSF pathway. Myelography: Myelography can differentiate extradural from intradural cysts. Extradural cysts commonly communicate with the CSF spaces, while intradural cysts typically are loculated. 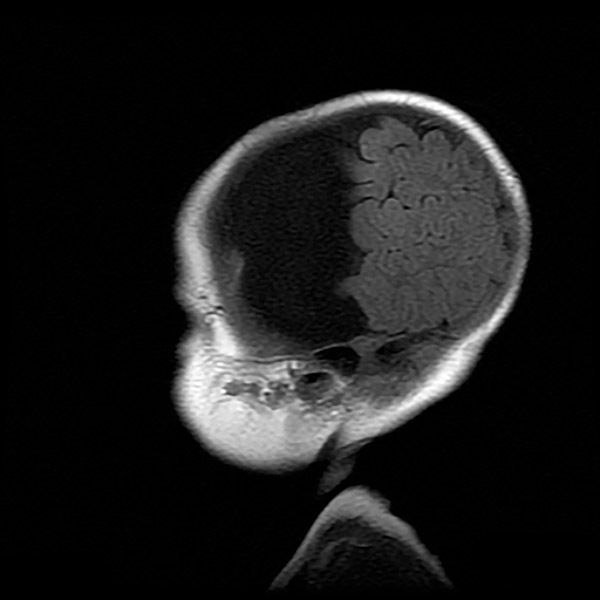 Cranial cysts: MRI delineates the configuration of the cyst. It shows the relationship of the cyst to surrounding structures, which may be useful in surgical planning. The initial MRI should be performed with and without contrast, to rule out other pathologies. The T1-weighted images allow for particularly good identification of cysts. Differential diagnosis: Differential diagnoses include cystic tumor, epidermoid tumor, hydrocephalus, focal cerebral hypoplasia. Galassi classification of arachnoid cyst: Arachnoid cysts can be categorized according to a descriptive scale developed by Galassi et al. (7). 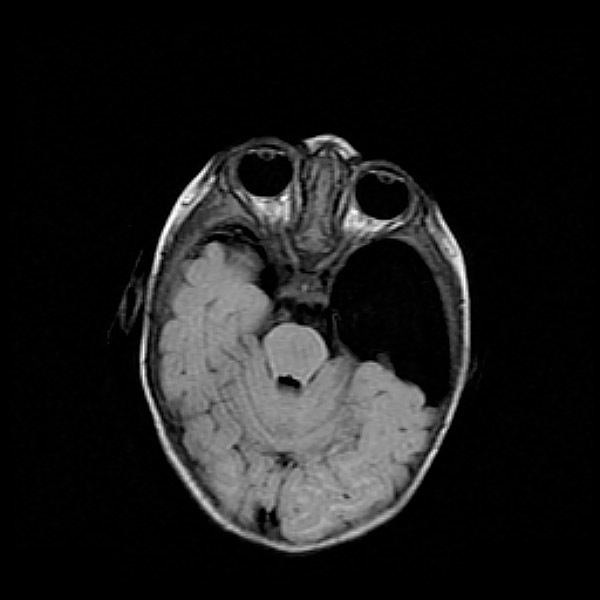 Type 1 cysts are small and spindle-shaped and are limited to the anterior middle cranial fossa, usually with free communication shown by CT cisternography. 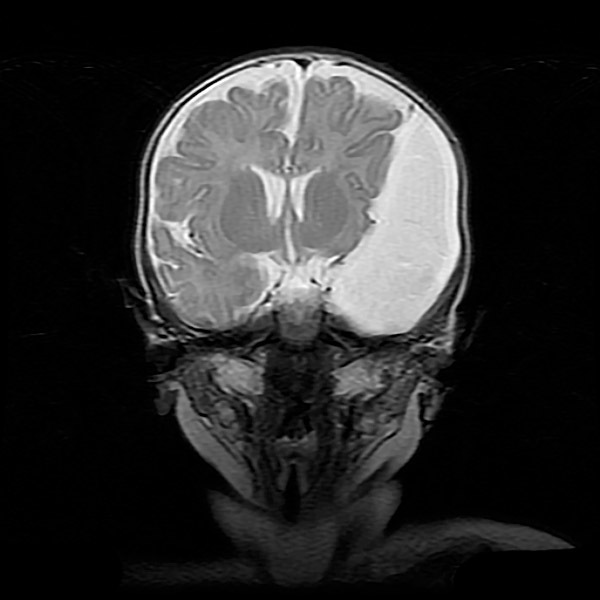 Type 2 cysts are superior cysts with extension along the sylvian fissure and displacement of the temporal lobe. Type 3 cysts are large, filling the whole middle cranial fossa, and displacing the temporal, frontal, and parietal lobes. 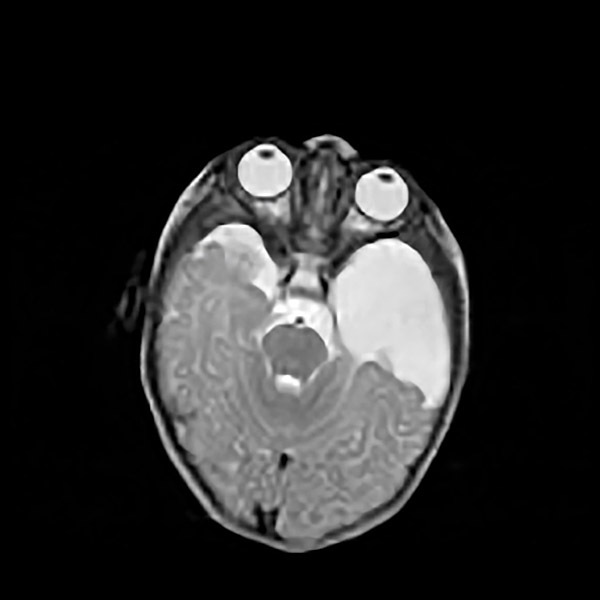 Little communication with the subarachnoid space is shown by CT cisternography. Spinal cysts: MRI can be done with and without contrast and is the diagnostic test of choice. The T1-weighted images allow for particularly good identification of cysts. No nuclear medicine tests are necessary. Electrodiagnostic tests are not required. No neuropsychological tests are necessary. 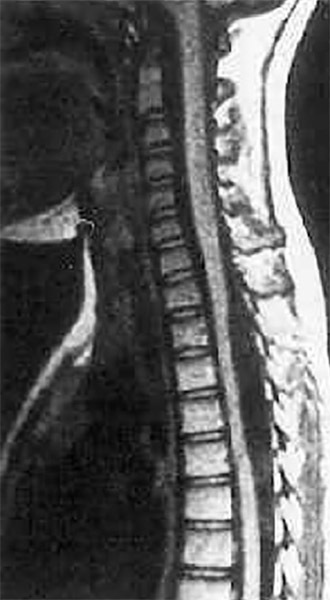 History and MRI: Patient history and MRI should match the pathology indicated by a surgically obtained specimen.